Veysey’s typology is helpful for understanding where Jews have fit in, and where they have been excluded from, American academic life. As David Hollinger has demonstrated in numerous papers and books, Jews found a haven in the research ideal, which was inspired by a meritocratic notion of science. Social pedigree didn’t matter; intelligence did. And thus Jews could become scientists—and they could especially contribute to the development of the virgin intellectual territory of social science. 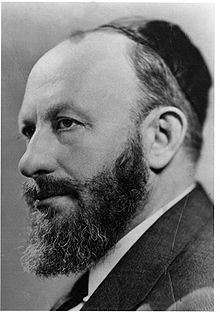 Likewise, the ideal of utility or professionalization, from which developed the university medical, law, engineering, and other professional schools, often created room for Jews through a meritocratic spirit. (By the same token, when the professions and the schools that developed their professionals, behaved more as guilds to protect their members, they could be used to exclude Jews.) Thus reform-minded leaders of American academe, including William James, John Dewey, and Oliver Wendell Holmes, embraced Jewish graduate students and professors and helped them become leaders in psychology, sociology, and law. The key conceptual site of contestation for Jews was in the ideal of liberal culture, and particularly the oratio concept of liberal culture, which saw the liberal arts as that which cultured people studied, was the animating force of a college, Jews had a harder time. To much of the elite establishment, upwardly-mobile Jews represented a threat, and a narrower conception of liberal culture frequently intersected with arguments against wider access to college education. Where the first two decades of the twentieth century saw universities mimicking Harvard’s free-ranging elective system, the 1920s brought a tightening of the curriculum, typified in the introduction of the core curriculum at Columbia in 1919, which was soon emulated at other campuses. If the free elective system developed by Charles W. Eliot at Harvard in the 1880s drew on the research ideal and the notion of the student as a free, autonomous subject, the core curriculum of Nicholas Murray Butler enacted the liberal culture ideal and the vision of the student as a young man in need of immersion in his pedigree. ‘Transmitting the best of Western culture’ often aligned with discriminatory policies in admissions, as the history of Ivy League institutions during the interwar period shows. Two years before the U.S. Congress adopted severe restrictions on immigration, Harvard’s president, Abbot Lawrence Lowell, began a quota system for Jewish admissions at Harvard in 1922, arguing that, “Where Jews become numerous they drive off other people and then leave themselves.” Under this system, ‘character,’ and not simply raw intellectual promise, could be considered in offering admission to undergraduates. As Jerome Karabel has shown, this provided a means by which to exclude undesirables from campus.